As you all we are in the month of ‘Njaanuary’ where everyone is trying to comes into terms after the heavy spending during Christmas and back to school activities. 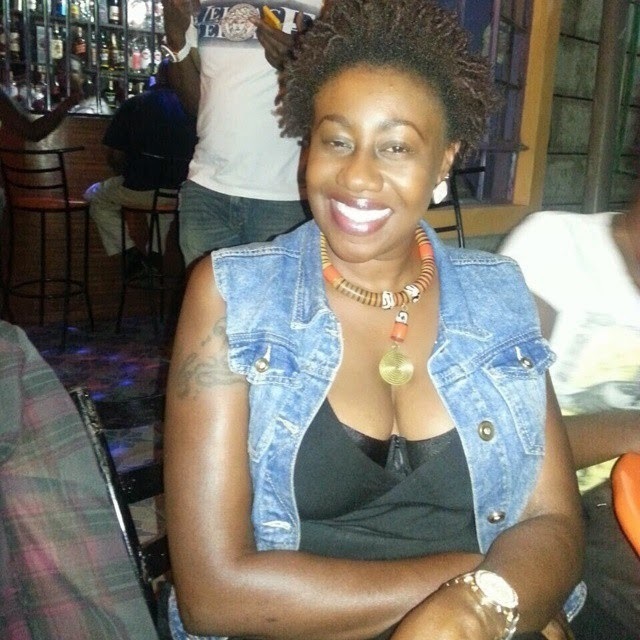 Popularly known Papa shirandura actress Jackline Nyaminde AKA Wilbroda took to social media to explain how it felt to be asked by a petrol attendant whether to put a full tank during the harsh month. 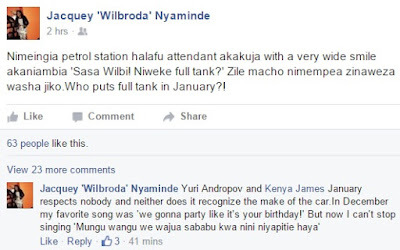 Here is a screenshot of wilbroda’s post on social media after her experience in a petrol station.